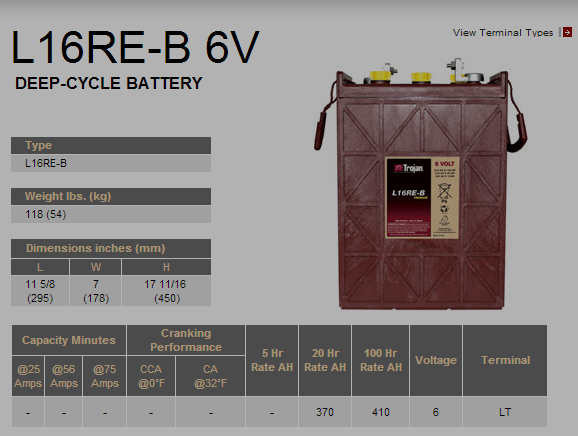 Crown Battery Since 1926, In Our Opinion, the Longest Lasting, Best Performing L16 Battery Available!! 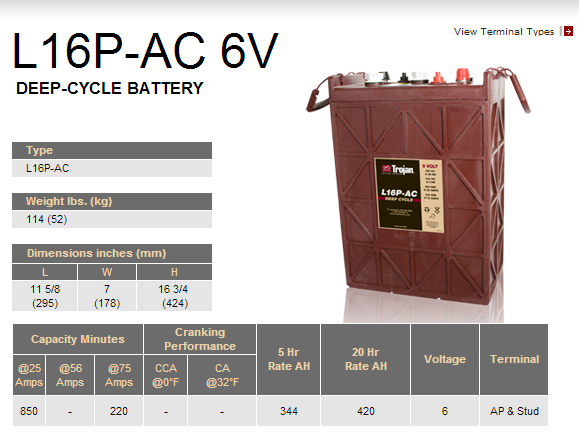 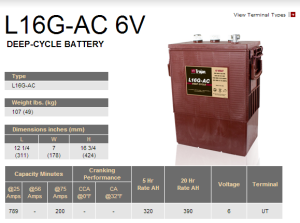 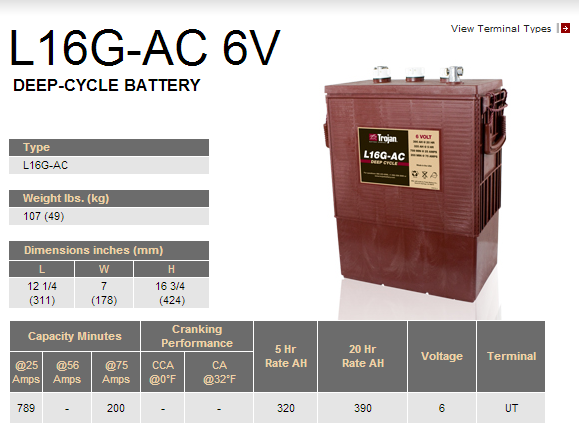 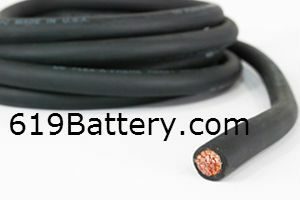 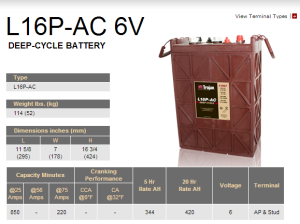 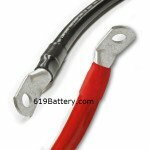 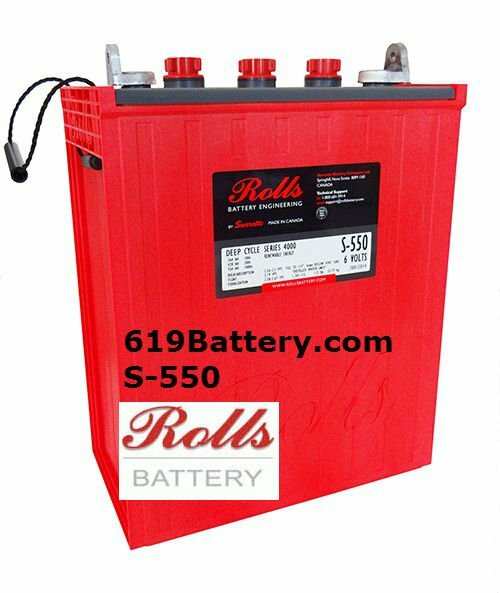 We form our opinion in terms of cost – lifespan – and ease of dealing with a battery mfg if you ever need a warranty. 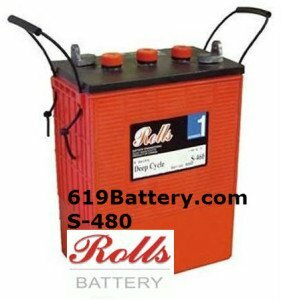 Example, Rolls makes a great battery but good luck if you have a warranty. 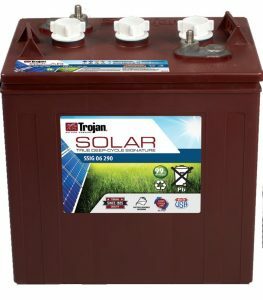 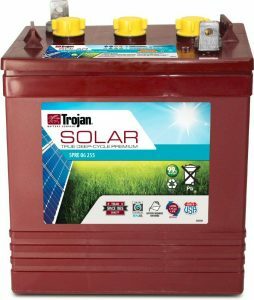 Trojan makes a good battery but the warranty process is difficult and we feel they are second in life to Crown. Flooded Chemisty Battery meaning you need to add water periodically based on usage. 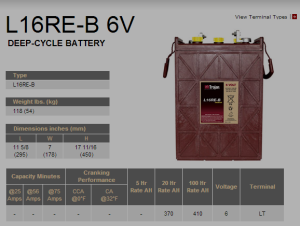 Renewable Energy Series 370 amp hour L-16RE-B 6 Volt and 1110 amp hour 2 Volt Series! In renewable energy applications batteries may go days without a charge and they frequently operate at partial states of charge. 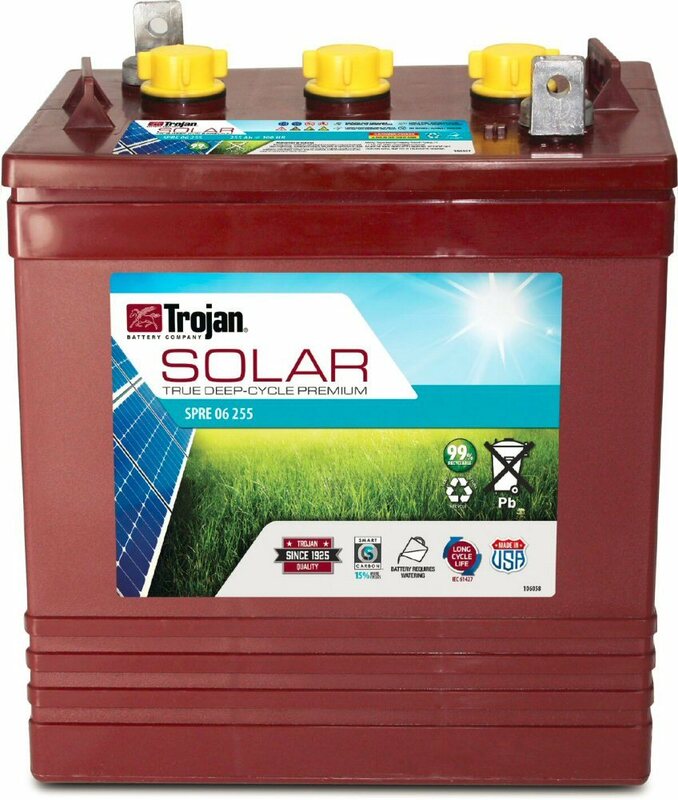 The Trojan RE Series L-16 are designed to operate under challenging conditions such as fluctuating or extreme temperatures, remote locations and the intermittent nature of solar and wind power generation. 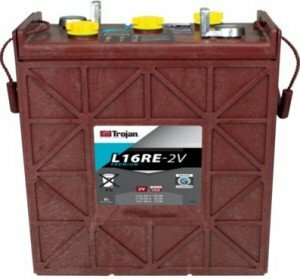 Trojan L16RE-2V Deep Cycle Flooded 1110 Amp Hours! 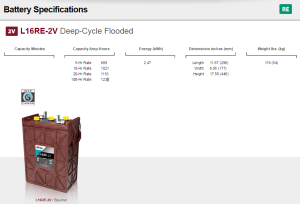 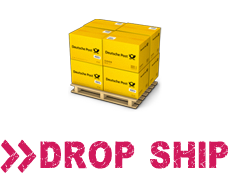 The Solar Signature Line of deep-cycle flooded batteries provide outstanding performance day in and day out. The Solar Signature Line is designed to deliver maximum sustained performance, long life and increased energy. 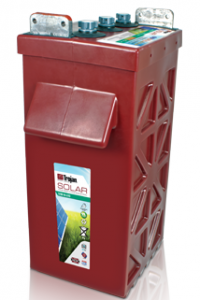 The cost-effective Solar Signature batteries are ideal for off-grid, grid-tied and unstable grid environments.